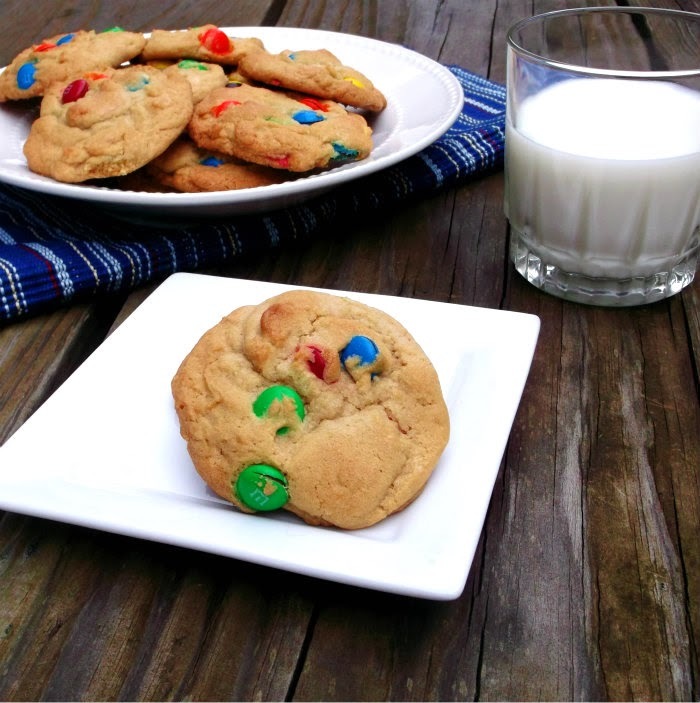 M&M cookie recipe. 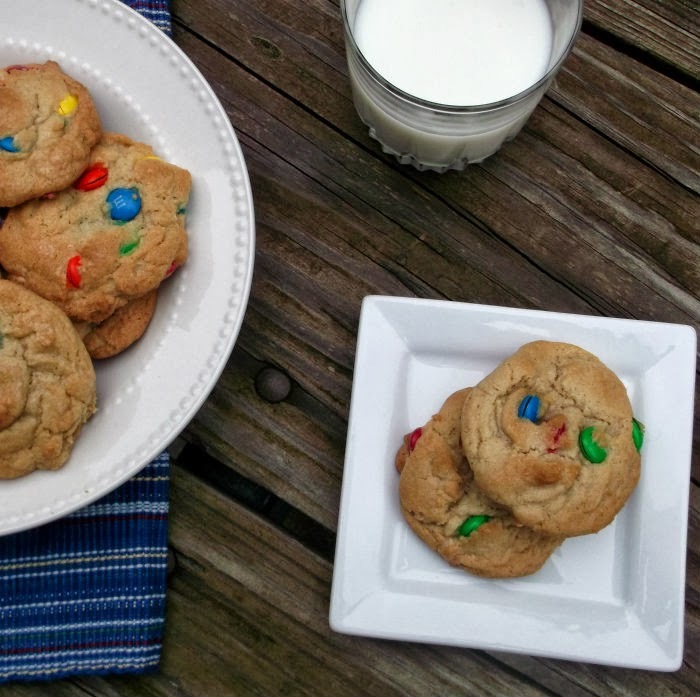 I found this recipe on the back of a bag of M&Ms at least 25 years ago and it has been my go to recipe ever since. The cookies come out soft and chewy. I have taken these cookies for different gatherings and functions and they always get rave reviews. These are great cookies for people that are maybe just beginners to baking or people that have been baking for years. I love to make about 3 batches at a time so that I can freeze some for a later date. They freeze nicely and I think that when they come out of the freezer they taste as yummy as they did when they were freshly baked. 2. Beat with an electric mixer the butter, shortening, and sugars until light and fluffy, blend in eggs and vanilla. 3. Sift together the dry ingredients and gradually add them to the cookie mixture. Mix until well blended. Mix in your candies. 4. Scoop by teaspoon and place on a lightly cookie sheet. Bake in a preheated oven for 12 to 14 minutes or until lightly brown. 5. Cool on cookie sheet for a couple of minutes and then place on cooling rack to cool thoroughly. I agree with Joanne, can’t go wrong with a classic! 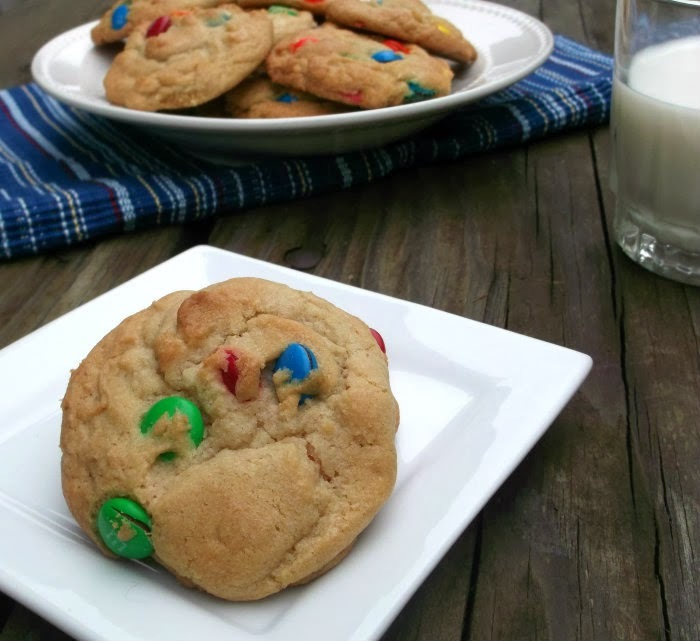 I love M&M Cookies and can’t believe I never thought of freezing a batch. What a great idea. We always like to make things in quantity and freeze them. Dangerous with cookies, though, because they’re so quick to defrost. 😉 Really nice – thanks.